Rose wine in a beer bottle…from Puglia! MARVELLOUS region which I love. On the map it is is the “heel” of Italy. This article first appeared on the website of mio buon amico Davide Gangi aka “Il Cubano”. His website is “Vinoway”. 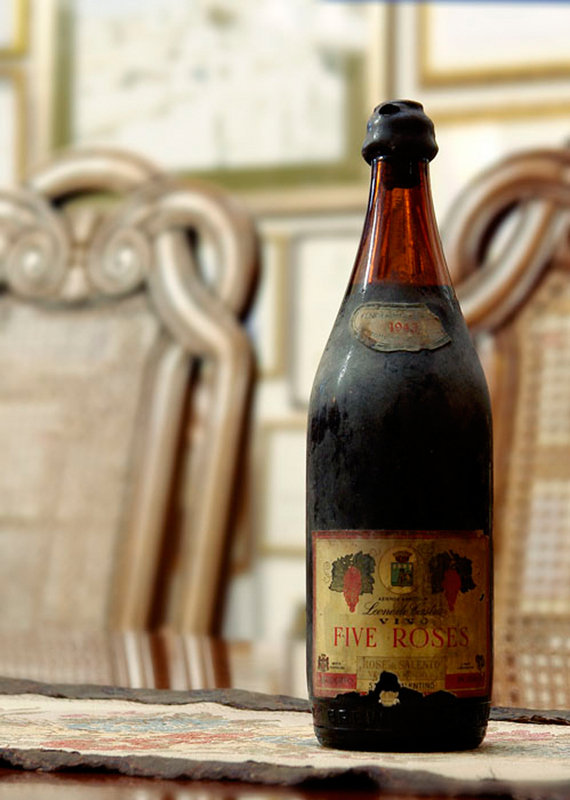 In 1943 during the II World War, Don Piero Leone De Castris sold a substantial supply of wine to General Charles Poletti, head of the American Military Government, who fell in love with the wine but changing the Italian name “Cinque Rose” in “Five Roses” for the new American market. The story would stop at this point, but there is something more, a detail that should not be overlooked. There was a stumbling block tied to packaging, as it was impossible to rely on a supply of bottles in wartime. Don Piero was inspired decided to stock up all the beer bottles found in Brindisi, so he bottled his wine in them thus finding an “alternative” way to ship the first Italian rosè to US. This entry was posted in Gorgeous Wines!, History, Let them eat Cake... and tagged Cinque Rose, Davide Gangi Vinoway, Dr. Michael Lim The Travelling Gourmet, Five Roses Rose Wine in Beer Bottles, General Charles Poletti, Leone de Castris, Malvasia Nera, Negroamaro, Puglia, World War 2. Bookmark the permalink.